Hooded long sleeve neoprene rash vest. 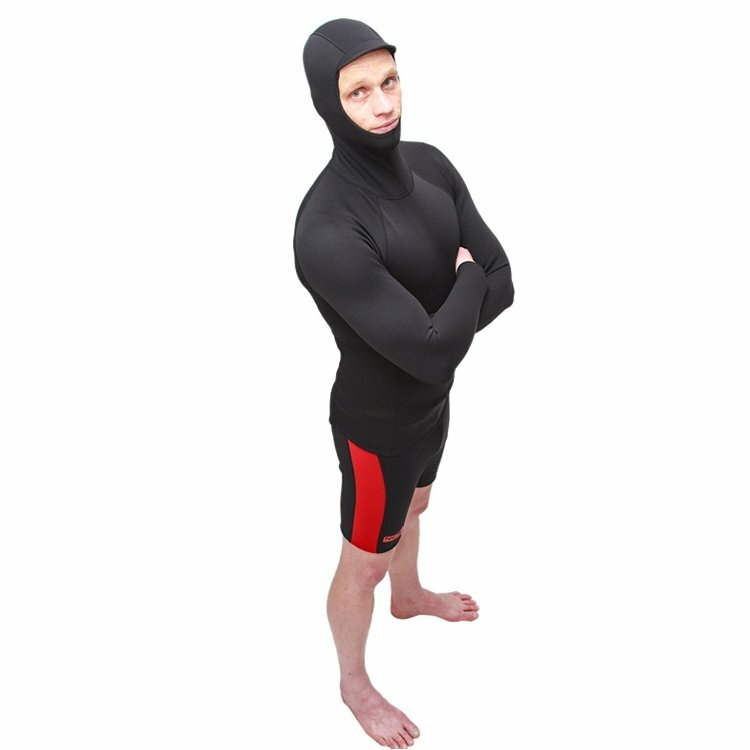 Made from our specially formulated thermal watersport material mix, 90% neoprene and a 10 % mix of nylon / lycra / thermal jersey which is for stretch, flex, durability and added warmth. 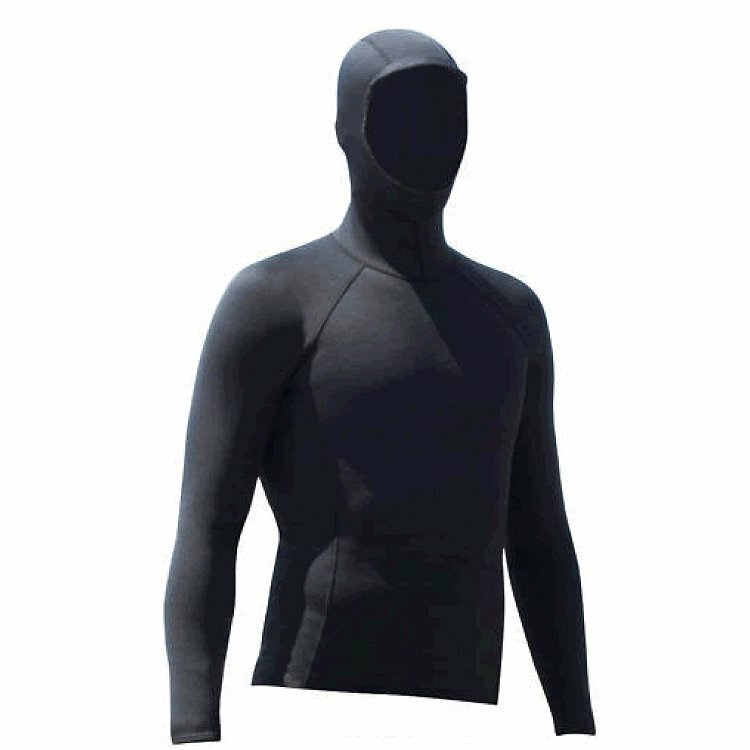 Our hooded long sleeve rash vests are quick drying and super stretchy making them super warm and very comfortable to wear with a built in peaked hood. 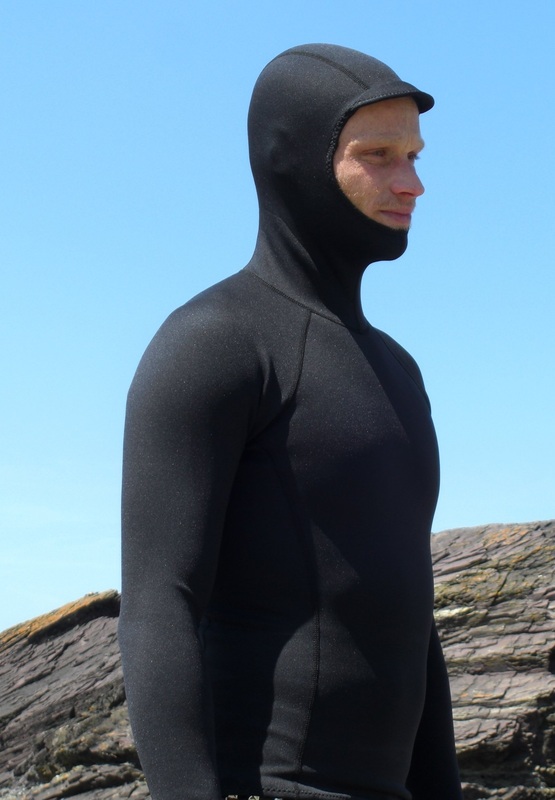 They’ll keep you really warm wearing them under any wetsuit. 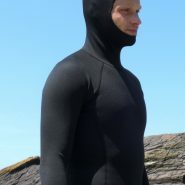 Why not extend the season of your summer suit or wear under you winter suit if you really feel the cold. 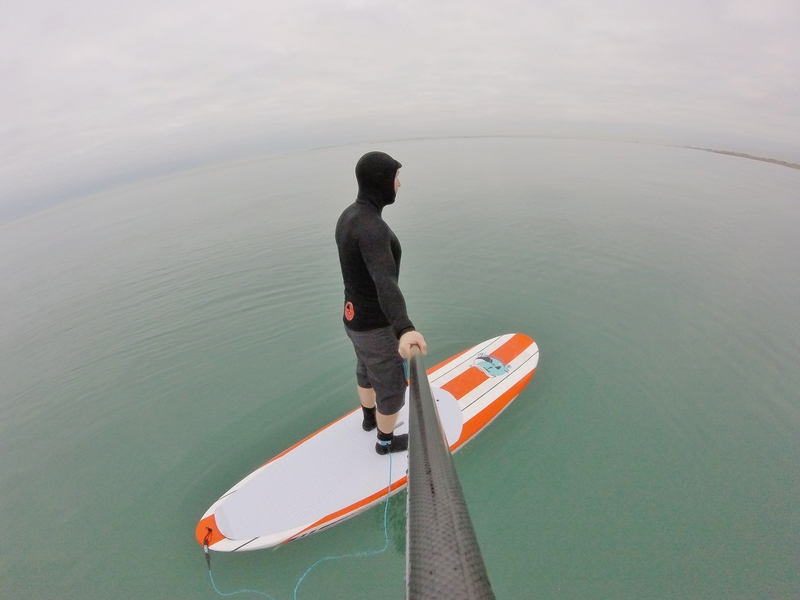 A great function of these is that once you’ve paddled out, if you are hot and bothered, you only need a quick flick to throw the hood back and cool down. 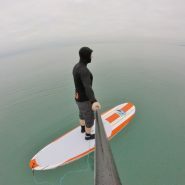 You need not worry about loosing the hood to the sea like you would with a separate hood.